Thomson & Metivier, PC > News > General > Where did our office go? 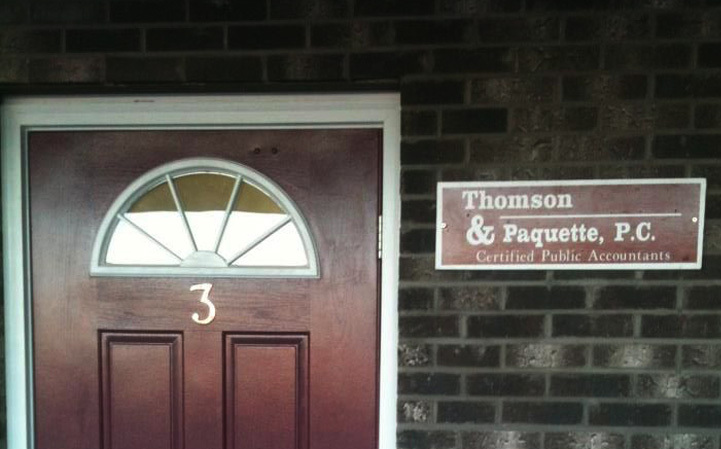 A lot of changes happening this year for Thomson & Paquette, P.C. Not only did we launch our website, but we’ll be moving to a new office too! Don’t worry, we aren’t moving far, in fact we are still going to be in the same building. We’ll be moving just a few doors down to Suite 1. Our move hasn’t started just yet, as we’ll need to put a few walls up to make it our own, but we are hoping to be all moved in before the year is out. We’ll be posting updates and pictures on our Facebook if you want to know how our progress is going.